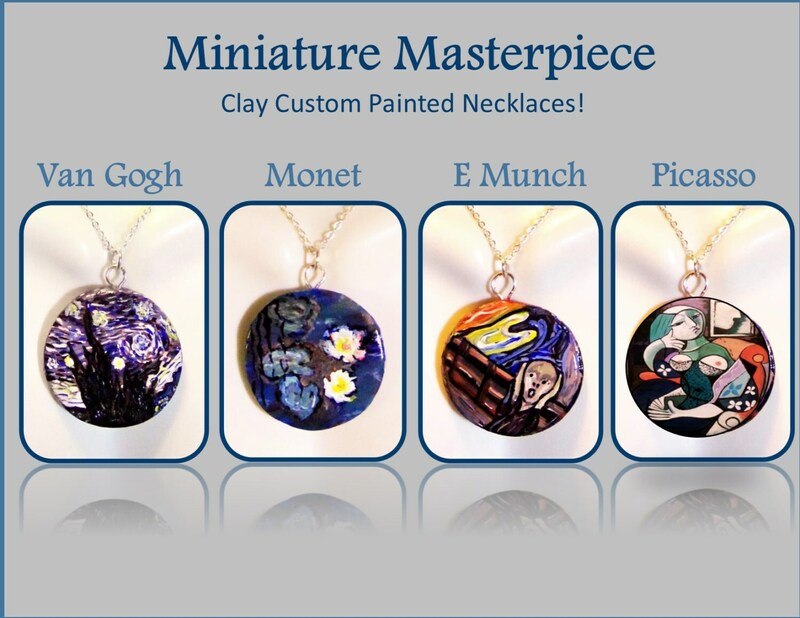 Clay painted Necklace, or Wine bottle Art! 23 Christmas lights inside for a Unique Artistic Lamp! does not leak or drip at all! I love it! Edvard Munch "The Scream" / Van Gogh "Starry Night"
Pablo Picasso "Dora Maar au Chat " /" Claude Monet "Water Lilies"
Each one is hand painted by me. 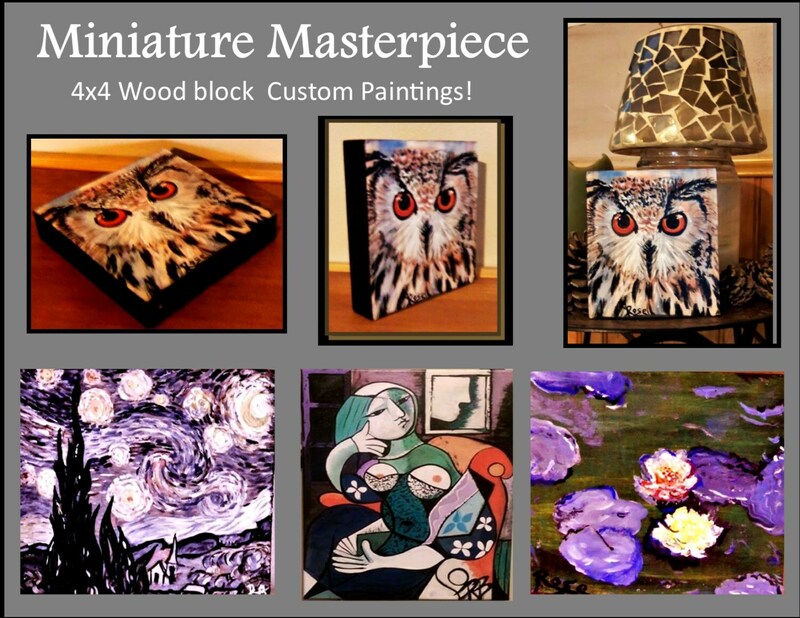 They make a Great Gift to display in your home or to fill with your favorite wine, a Great Conversation Piece! 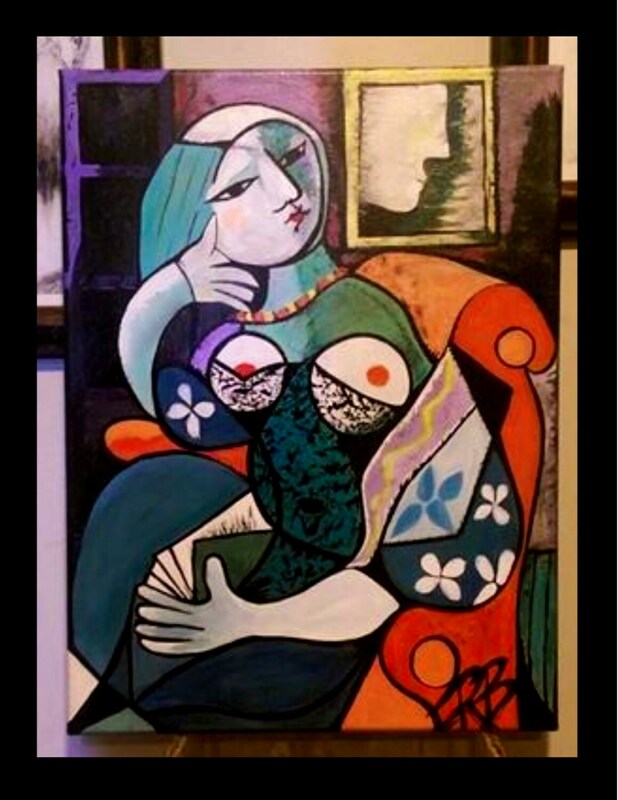 A lovely Wedding Gift, House warming gift, Anniversary, birthday, Holiday or just because you Love Art! 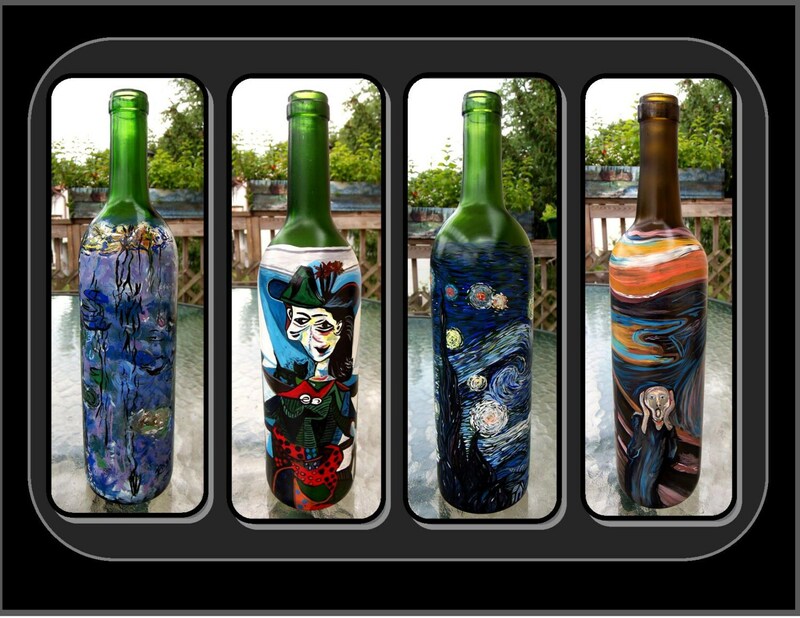 If you would like to order a Custom hand painted wine bottle with any other design just message me and I will create it for you! 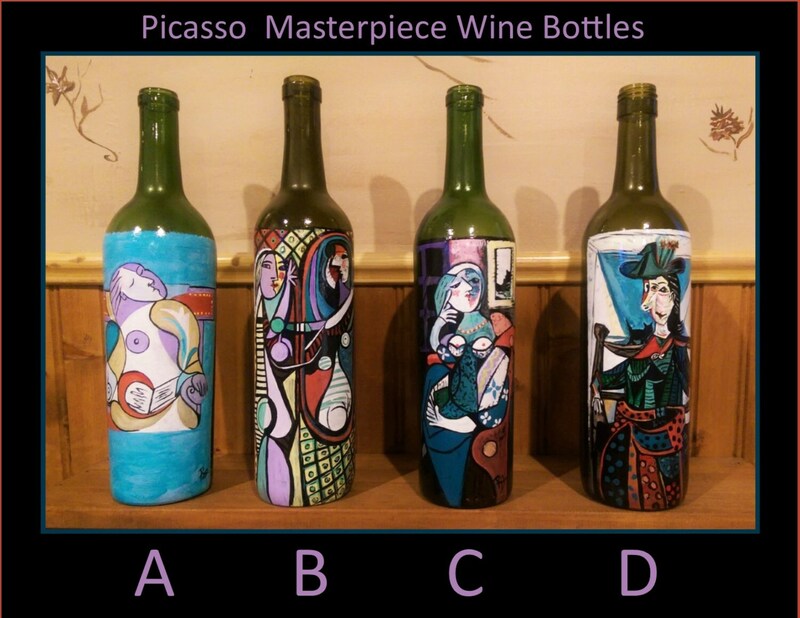 I can arrange to paint on a full unopened bottle, for a special gift, please message me first to discuss the details and cost for this option!